Government of India, DOPT sent to various authorities Vide letter No. 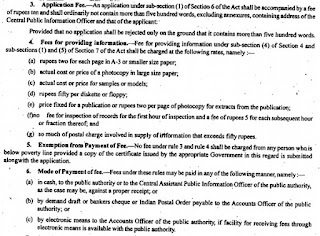 1/5/2011-IR Dated 10thJuly, 2015 expressing the need for Harmonization of RTI (Fee & Cost) Rules and Appeal Procedure Rules under Right to Information Act, 2005. 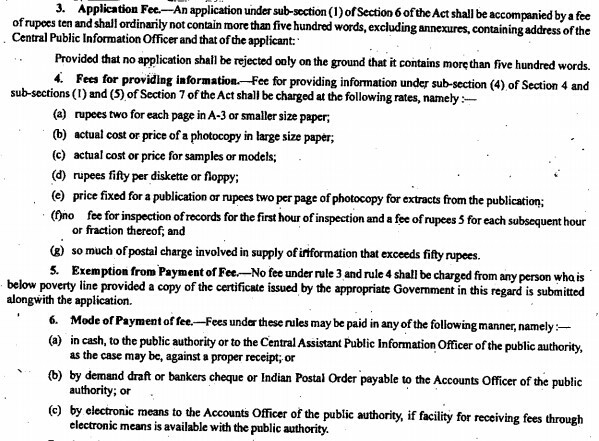 Earlier, the Government of India had notified a set of RTI Rules, 2012 dated 31.7.2012. While drafting the RTI Rules, 2012, it was stipulated that once notified, the State Governments would be requested to adopt these rules as it is, so that there might be uniformity in the matter of implementation of the RTI Act throughout the country. However,few States have not yet harmonized their fee rules with that of the Central Government. Therefore, in the latest letter it is requested by the Central Government to various authorities mentioned in the letter to review their Right to Information (Fee & Cost Rules) and Appeal Procedure Rules.